WaterAfrica seeks a student interested in research and grant writing experience who is passionate about water, sanitation and hygiene issues in the developing world. 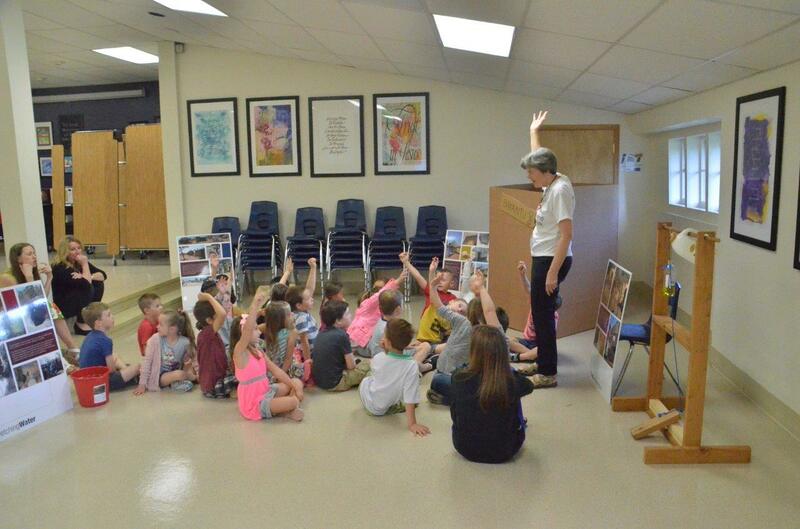 This volunteer position is an opportunity for college credit with flexible schedule and hours. See the job description or contact Diane Savage for more information. 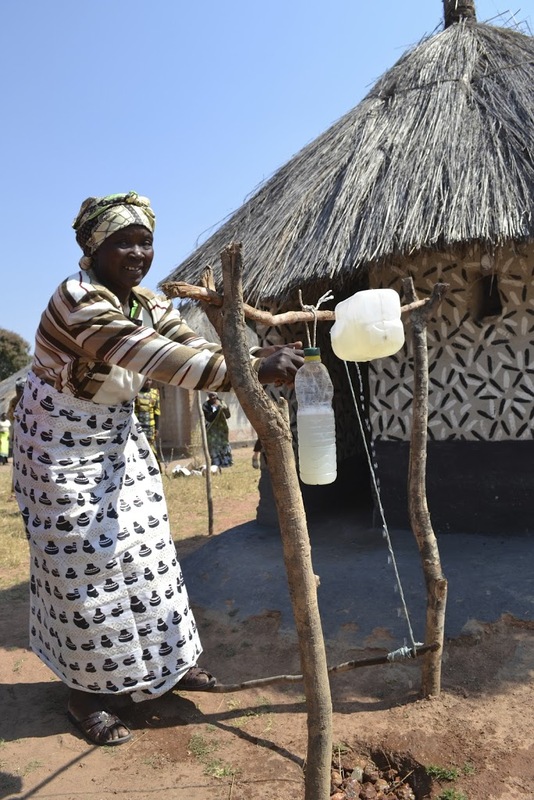 We were repeatedly impressed with the ingenuity, resourcefulness and resiliency of the women we met on WaterAfrica’s Zambia 2012 trip. 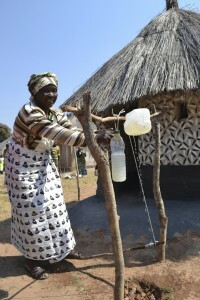 Again and again we saw examples of villagers building on a WASH (Water, Sanitation & Hygiene) element not only to improve its function, but often to also add aesthetic value to its design. We visited a village primarily led by women. 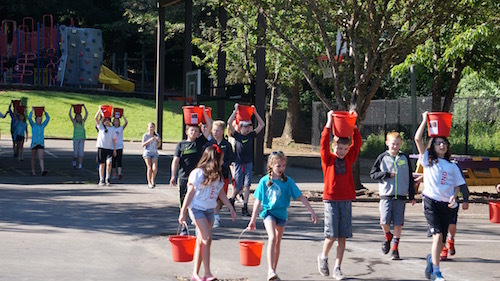 Clean water had not yet come to their community but they had already implemented sanitation and hygiene skills they learned from neighboring villages. Listening, learning and changing in order to bring health and opportunity to their village, these women were determined, creative and resourceful. Inspired by designs they’d seen printed on their chitenge skirts they even painted their buildings – including the latrines both inside and out! And they did NOT stop at Home Depot for paint!!! What would these amazing women accomplish if they didn’t have to spend their time collecting unsafe water for their daily needs?? 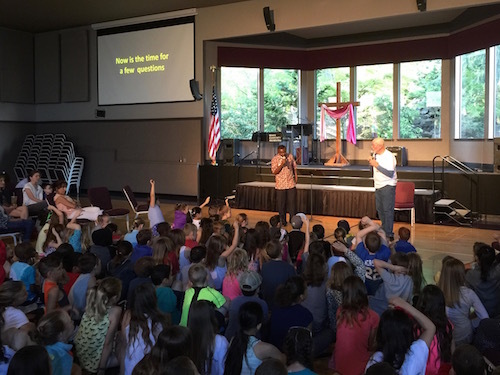 At the recent Hope2Opportunity event presented by Columbia-Willamette Chapter of Women of Vision, Kari Constanza, World Vision Journalist/Reporter spoke about her WASH related travels with World Vision. You can watch Kari’s short film Walking In Sabina’s Shoes, online here and see Kari join a Kenyan lady named Sabina on her daily trek to water. In the film Kari tells us that 3 years earlier Sabina had visited someone who lived in a community with a spring fed source bringing water right to her own property and when it was time for Sabina to go home she lamented the return to her personal plight of walking hours for water each day. After the film ends, the story turns joyful when a water project in Sabina’s region brought water to her village and a spigot to her own backyard! 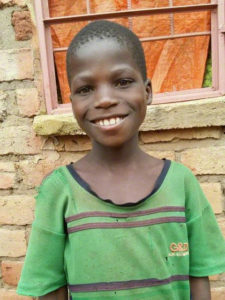 A year after Kari walked with Sabina, Angela Schug, World Vision Marketing, visited her and wrote about it in this blog post. 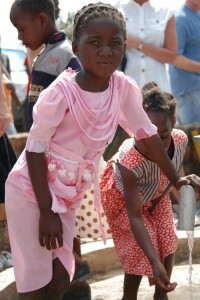 Check it out and you can see a picture of Sabina by her backyard water spigot! Angela also spoke at Hope2Opportunity and told how she took World Vision magazines to show Sabina that she’d been featured in stories, but Sabina couldn’t read the words. 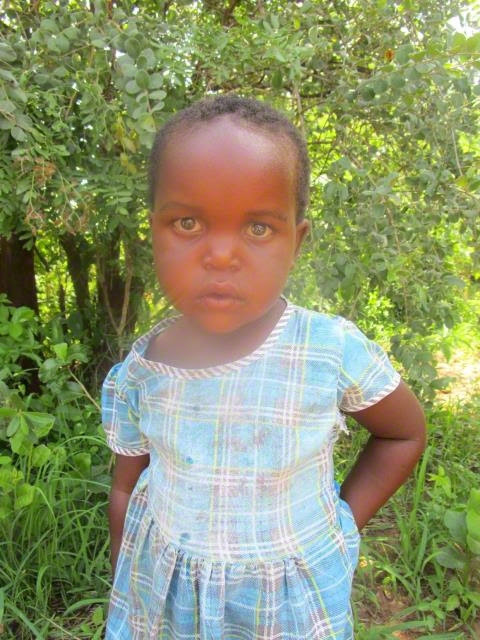 Because her days had always been spent fetching water she’d been unable to get an education! What would these women do if they had more time?? 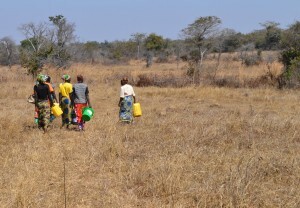 By supporting World Vision’s WASH program in Zambia, WaterAfrica helps to create more time for these women. The ZWASH program empowers the villagers and opens the door to hope and possibility. 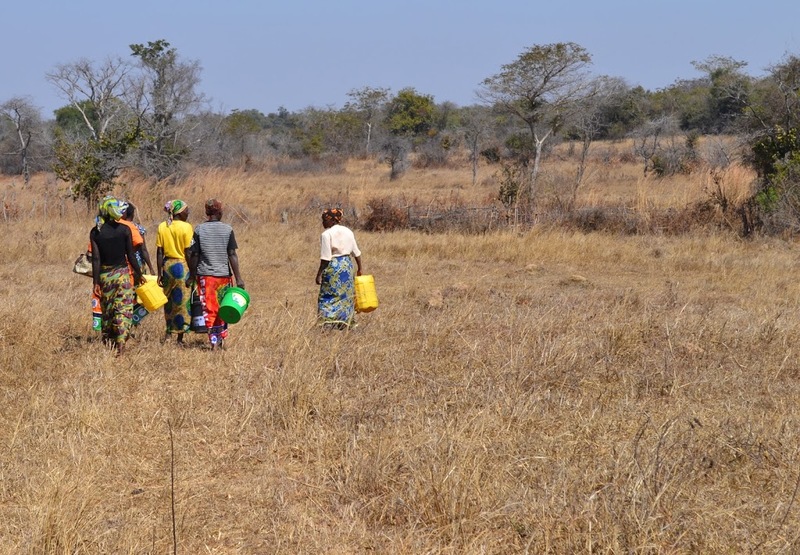 While we were in Zambia last summer WaterAfrica’s travel team met with a group of women who had a brand new borehole with clean, safe water just moments from their homes. You can see more about our visit here. For years these women walked the 1-hour round trip to their dirty water source, 3- 5 times each day! 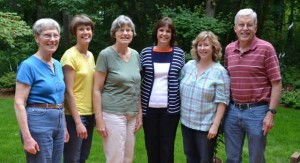 Now their lives had radically changed. Please take 30 seconds to watch the clip below. You will see a tremendous grin of gratitude and you will hear hope in answer to the question: What will you do with your time?? Today is International Women’s Day and we celebrate the many women and girls we have met in rural Zambian villages. Their hopes and dreams are stuck in the realities of living without sanitation and hygiene resources and lacking accessible, safe water. Their stories inspire us to stay diligent and focused in our efforts to bring life-changing resources to their communities, thus giving their hopes and dreams opportunities to thrive. What would these women do if they had more time? What would their daughters do?? As you consider ways you might respond on this International Women’s Day we invite you to help WaterAfrica create more time for these women and girls by supporting World Vision’s WASH program in Zambia. The WaterAfrica Travel team safely arrived in Lusaka, Zambia this week. 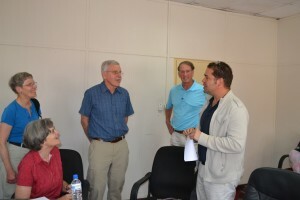 Today we began our trip agenda with a meeting at World Vision Zambia’s national headquarters. 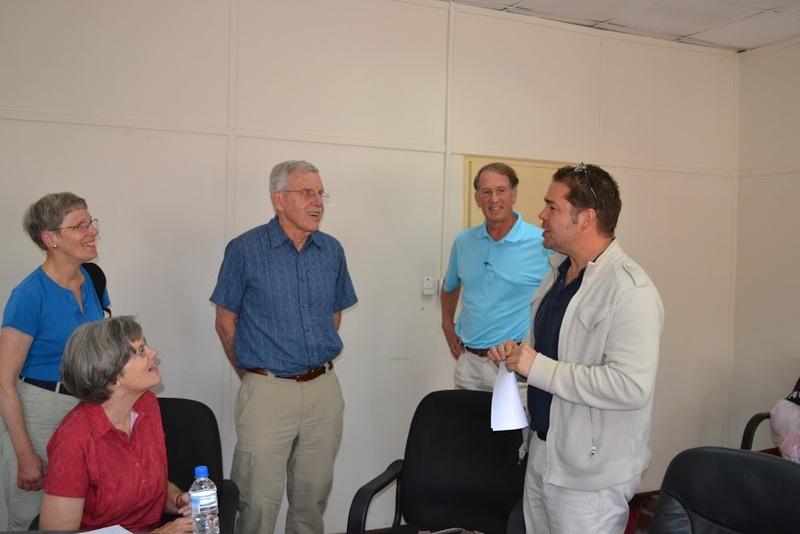 Mike Veitenhans, Zambia World Vision National Director, and Fordson Kafweku, Director of Operations, along with National ZWASH Staff (Zambia Water, Sanitation & Hygiene) gave us an overview and update on WASH projects in Zambia. 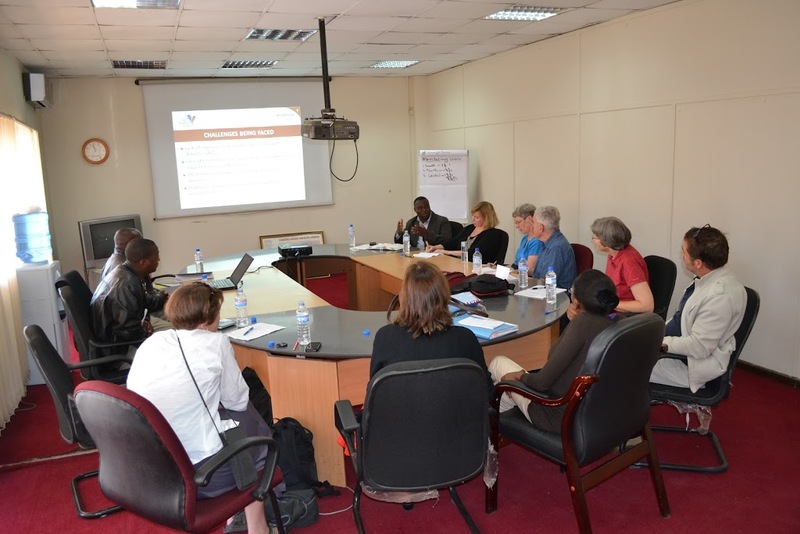 **World Vision Zambia is exploring and implementing intentional strategies to engage urban Zambians about rural Zambian WASH needs and ways they can participate in solutions. **ZWASH is partnering with the government to focus on mutual goals in order to achieve more effective benefits. **World Vision Zambia leadership identifies WaterAfrica as a significant partner in the ZWASH work. It was fun to see a framed copy of a Lake Oswego WaterAfrica Day Proclamation hanging outside the national director’s office door! After our meeting we took a tour of the Child Sponsorship office. 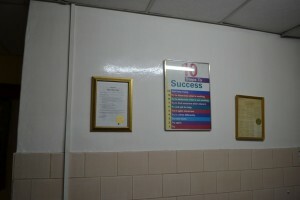 All the mail communication for World Vision’s Child Sponsorship program in Zambia is managed in that office. It is a remarkable operation and it was a privilege to see and hear the from the staff who oversee the project. Members of the WaterAfrica team will meet their sponsored children later this week and we look forward to telling you those stories. Tomorrow morning we leave Lusaka and will soon be bringing you reports from the field! 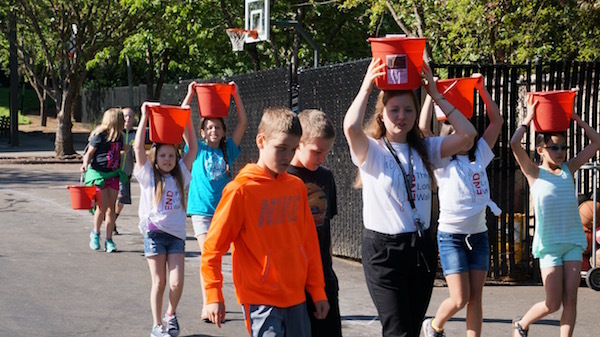 One of the remarkable stories coming from WaterAfrica’s annual Walk4Water is the ever increasing youth involvement. 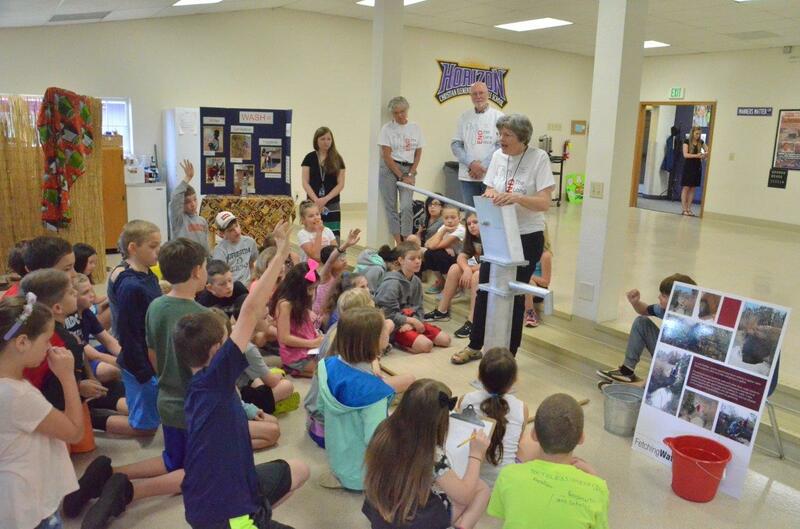 This year we DOUBLED the number of area schools represented by student participants and volunteers. We are so grateful for the vision, energy and generosity these young people bring to our event. It is important to note the transformative impact of our youth as they participate in and share the WaterAfrica story. 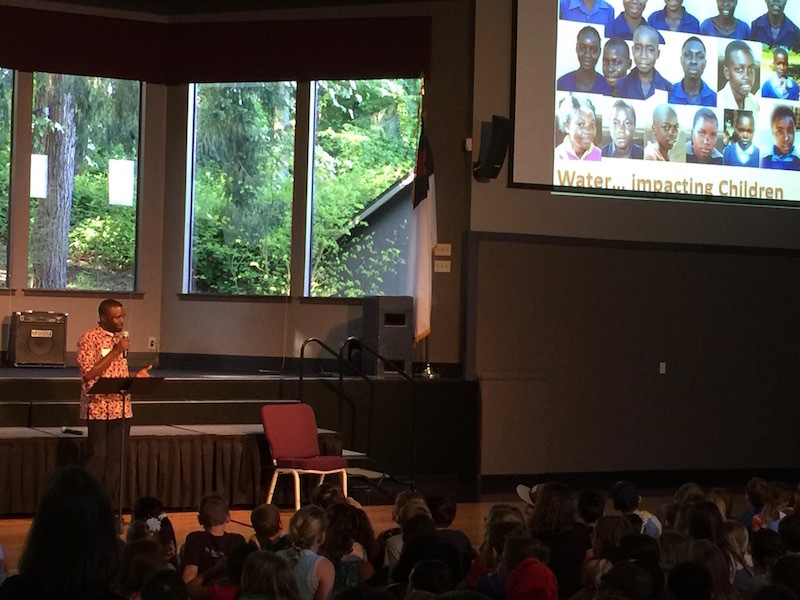 Even as our youth expand our reach and help to shape our message, we hear parallel stories from Zambia about their youth stepping into transformative community roles to bring life-changing, life-giving vision and energy. Mwamba ADP in northern Zambia, is a new World Vision ADP. The ADP community leaders have learned the importance of implementing all three components of the WASH program – clean water, sanitation and hygiene together. 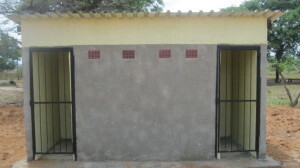 ZWASH has provided leadership and resources for the construction of six Ventilation Improved Pit Latrines (VIP) and hand washing facilities at Misamfu Basic School. There are 1013 students at the school….To make sure the message of good hygiene becomes a part of the children’s daily life, World Vision ZWASH assisted the school to set up a WASH club, with an initial 20 members, who in turn teach their friends the importance of drinking clean, safe water from the school borehole, and also consistent hand washing before eating. 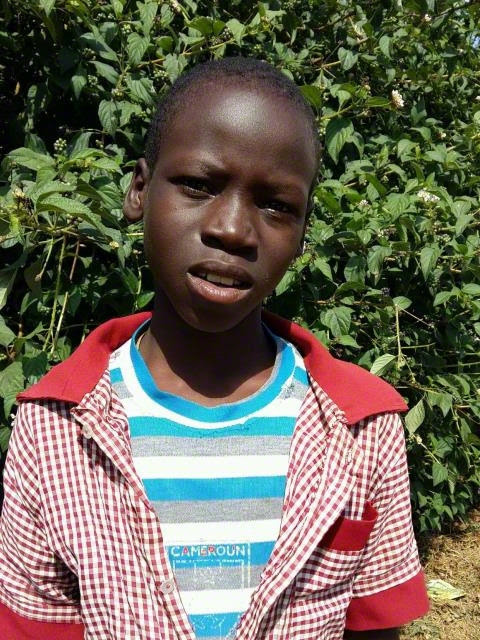 One of the students, Bernard Mugala, in ninth grade said, “I have learned a lot from the WASH club, and now I’m teaching my friends on the importance of washing their hands before they eat anything because that can help prevent diarrhea.” He continued, “I have also taught my parents back in the village to practice hand-washing. We have placed a container outside our latrine and we have everyone wash their hands from it and then fill it with fresh water when it gets empty.” Bernard explained that his parents were now also teaching their friends and neighbors in the village to wash their hands to avoid getting sick. The message continues to spread. 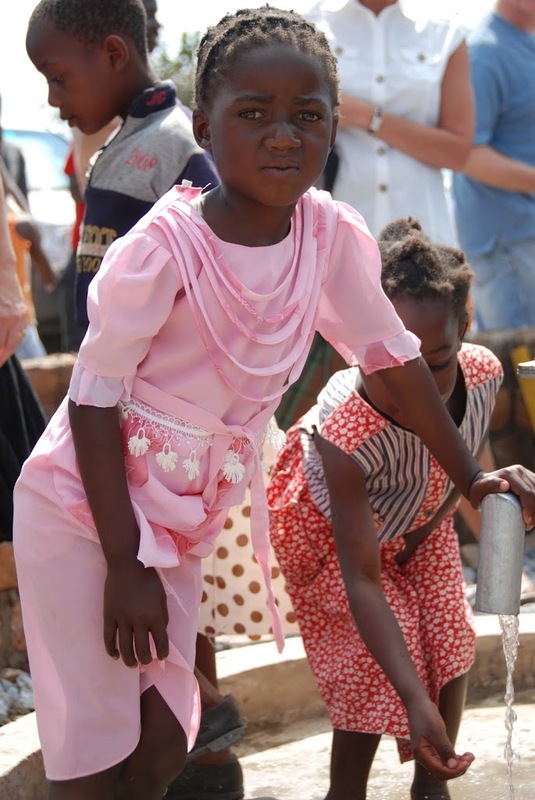 Luswepo Suza, an eleven year old member of the club said she particularly enjoys telling people to make sure they have a container of water for washing hands. She feels proud every time she walks through her village and sees how many homes now have a designated container for washing hands. Mwamba ADP recognizes what powerful change agents they have in their schoolchildren and intend to introduce similar clubs elsewhere in the ADP. Walk4Water5 leadership agrees! Transformative power comes to life when we educate and nurture the vision and energy of the young people in our midst. It is a privilege to work alongside our youth leaders to bring life-changing resources to Zambian youth leaders.